What is the expected delivery time of a 11229 on a wheel if I order today? Wheel builds are NOT available on an express service but will be dispatched within 7-10 working days, normally sooner, this should still be the case with this item being out of stock today. Is this the hub to use with this frame/style of dropout? Looking at the images that you have provided, it looks as though this would not fit unfortunately. The Rohloff website indicates a boost spacing hub for a 12mm through axle - is this available? My bike is a Jones plus with a chainstay mounted IS disk brake mount. We list two options, disc or non disc. - non disc can be converted however. We can build this into a wheel or sell hub only and we always recommend using hub flange rings. For postage costs/options, add the product do you basket, hit checkout and the page will load allowing you to select the destination and you will see the costs. Does This Come With The New Splined Sprocket Or The Old System? If it is the old setup, which part numbers does one need for converting this to the new system. 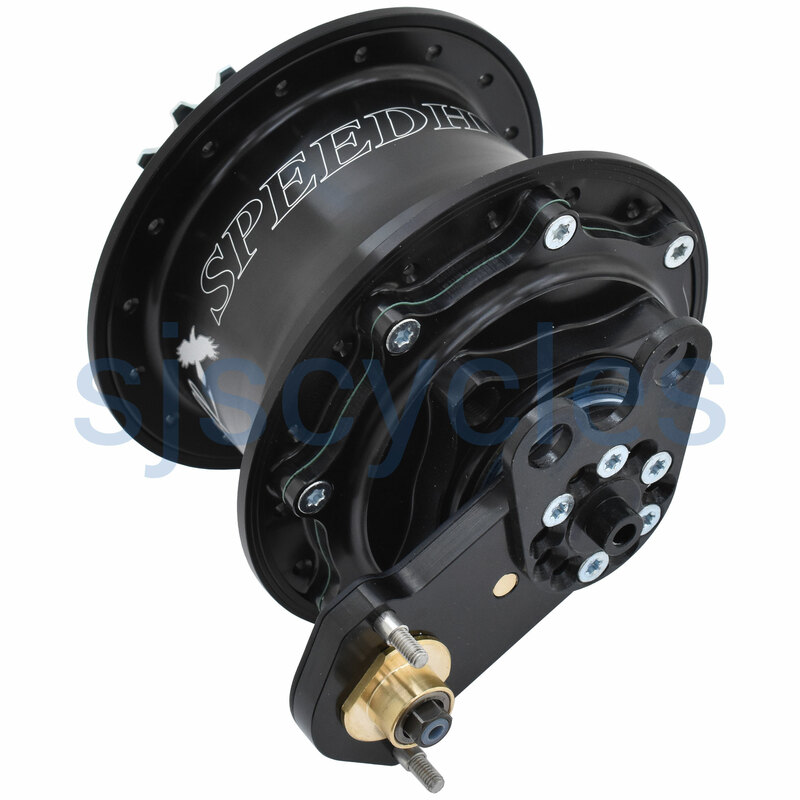 These hubs come with supplied with the new splined sprocket carrier and a 16T sprocket.